Most home garages are overstuffed. Usually, all it takes is a vehicle or two inside it and a few DIY tools or hobby items, and you can barely move without accidentally bumping into something. Plus, imagine if you’re into gardening and have a couple of backyard tools laying around as well? In this case, storage can definitely become a problem. For this very reason, and a couple of others we’ll talk about today, many homeowners opt to get a storage garden shed where they can store all their sets of tools, whether they’re meant for gardening or car maintenance. When people imagine sheds, most of them think about these large, almost cabin-like structures that take up a lot of space, making it virtually impossible to fit one in your garden. Well, while there are large sheds, there are also smaller models that can be just a few square meters small. 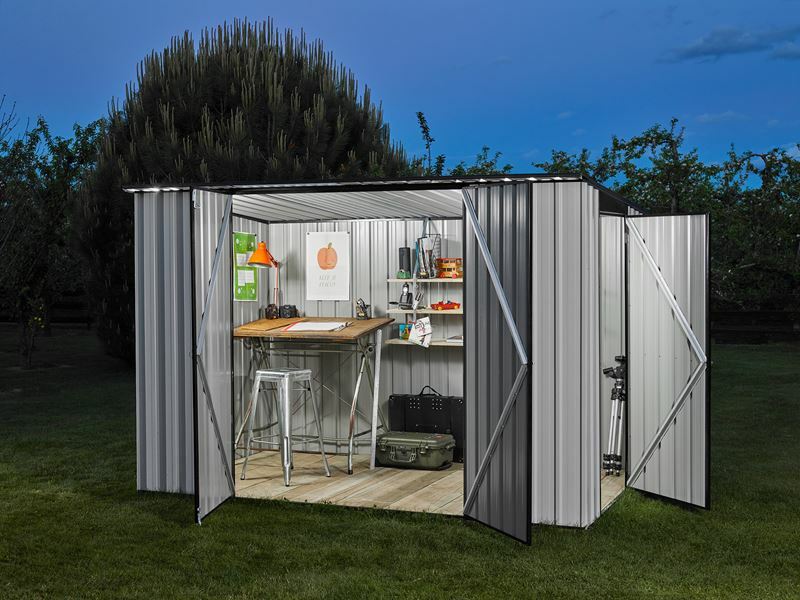 For instance, you can get a 3x3m shed, which is big enough to satisfy the needs of the average home, but not too bulky to occupy your valuable yard space. A modern 3x3m shed is typically available in a wide range of designs, and it can be made from a variety of materials. As far as designs go, you can choose whatever looks most appealing to you and best suits your outdoor space. You can get a shed with barn or roller doors, or flat, gable or skillion roofs. As for materials, most sheds are either made of some sort of metal, wood or plastic. Typically, metal sheds are the most durable ones and they’re ideal for any type of climate. Wood sheds are also tough – as long as they’re made from quality wood, like spruce or pine. With that said, do your research online and check out a couple of models before you pick a shed. Make sure you prioritize functionality, but as far as aesthetics go, you can probably find a shed that blends in with your garden and home. You don’t really want a Victorian looking shed if you have a contemporary-designed home. Also, make sure the shed is easy to access, is stable enough and has enough storage capacity to hold all of the tools and equipment you have. Oh, and one last thing, make sure you get a shed that’s easy to install by yourself. Shopping online usually means that you’ll have to do the installation yourself after they deliver the structure to you. Also, make sure you get a shed that comes with a warranty. You’re buying a shed for the long term, as they aren’t the most affordable of storage solutions, and you don’t want one that won’t hold up to the weather and will end up ruining your tools.